Lindo’s Group of Companies today [July 13] announced that the 2017 Lindo’s to Lindo’s has raised $25,860 for the Bermuda Diabetes Association [BDA]. Money was raised through entrance fees and pledges collected by entrants. A pair of round trip plane tickets to the East Coast of the United States – kindly donated by Jet Blue – were awarded to ten-year-old Jannis Roberts, a student at St George’s Preparatory, who raised the most money individually, with $701. Jannis took part in the event as part of the AC Endeavour Programme, which raised more than $4,500 as a group. The profits raised by entrants have been donated to the BDA to help fund their medical assistance programme – helping Bermudians to pay for much needed medication for diabetics – and to help finance the BDA’s move to a new building. The BDA recently purchased a new building and funds will help with refurbishment and renovation. 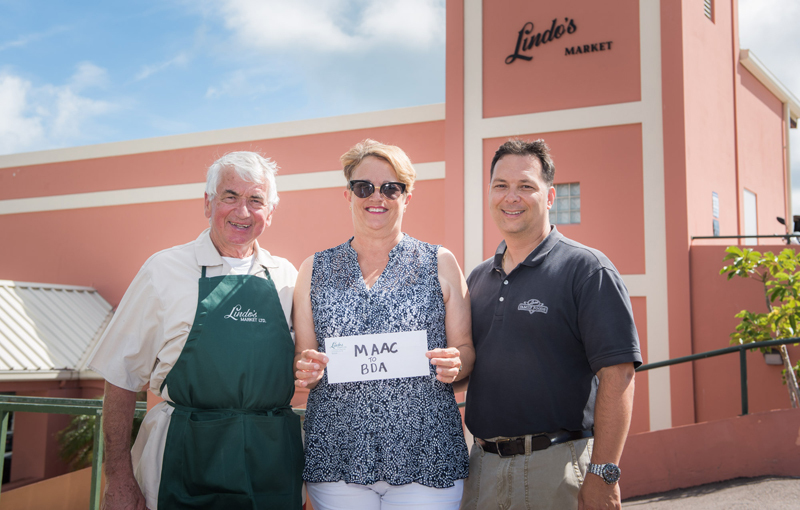 Zach Moniz, Lindo’s Family Foods Manager, said: “We are delighted to have been able to help raise these funds for the Bermuda Diabetes Association. The prevalence of diabetes is a huge concern in Bermuda and we are pleased to be able to support the Association in their incredibly important work.